Like many of you, I spend a lot of time at my computer. As a writer, I spend my days typing. As a maker, I spend many of my evenings 3D modeling parts in CAD software with a mouse. And, also like many of you, I’ve had issues with tendinitis and worry about carpal tunnel syndrome. Shervin Emami’s AlterErgo handheld mouse/keyboard is designed to prevent those injuries by strengthening your fingers as you type. There are many ergonomic options on the market — a good mechanical keyboard and trackball mouse has done wonders for me, for example. But, the truth is that they’re simply less-bad than traditional keyboards and mice, and can still lead to RSI (repetitive stress injuries). Emami’s AlterErgo is built around a finger strengthener like the kind guitarists and climbers use, which he believes can help prevent RSI. It’s difficult to determine the validity of that claim, but it could be worth trying. AlterErgo uses a 3D accelerometer to control the mouse pointer, and the four finger exercisers as keyboard buttons. The Seeed Tiny BLE can be programmed to send whatever key you choose, but you’re limited to a total of eight — each can send a keypress when pushed, and another when released. The real potential of the setup is as a chorded keyboard, which would allow you to type the full alphabet. The AlterErgo project is still early in the development process, but you can follow Emami’s progress to get a sense of how to build one yourself. 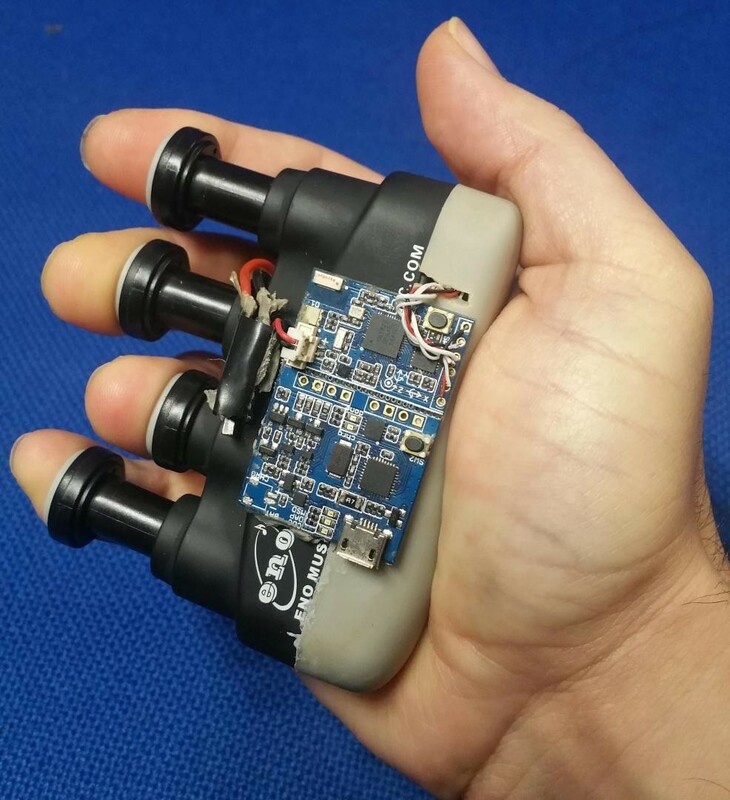 Handheld Mouse/Keyboard Combo Strengthens Your Fingers as You Type was originally published in Hackster Blog on Medium, where people are continuing the conversation by highlighting and responding to this story.